With over a 1,000 hour of experience using coaching and transformative modalities to adjust the way you think and perceive, so that perceived obstacles in life and business become opportunities. Ryan brings over a 1,000 hour of experience using coaching and transformative modalities to adjust the way his clients think and perceive, so that perceived obstacles in their life and business become opportunities for further growth and change. Ryan’s style of business coaching is not about telling you what to do and how to do it. It is about accessing resources you already have and aren’t aware of, so you can increase your capacity to achieve any outcome you want in life. Yes, that often does lead to greater business growth. But more importantly, it’s about feeling good about the success you have, and empowering you to be able to confidently re-produce that success in any one or more areas of your business and life. Ryan’s business coaching offers the extra edge that the very best in their fields (sports, business, arts, music etc.) often attain from external mentoring, coaching, and advice. 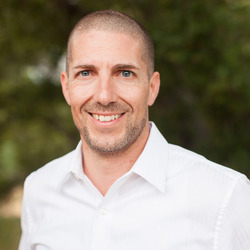 Ryan trained and graduated from NLP Marin, a respectable training organization of 25 years responsible for training the Bay Area’s finest coaches and practitioners, from Silicon Valley Executives to your everyday helping professional. Ryan’s Business Coaching is limited to 10 clients at any one time. Have you worked with Ryan? Tell your friends! Ryan doesn't have any reviews yet. Ryan hasn't submitted any articles.